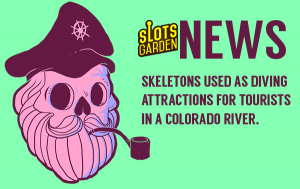 This definitely looks like someting out of our Ghost Ship game: “Diver removes famous fake skeletons from Colorado River”. Read the article here Would you visit this attraction? What is your favorite touristic attraction?